Inspire and enable action. This toolkit uses human-centered design tools and technique to help teams of colleagues, older adults, caregivers, and organizational partners explore and design solutions together. 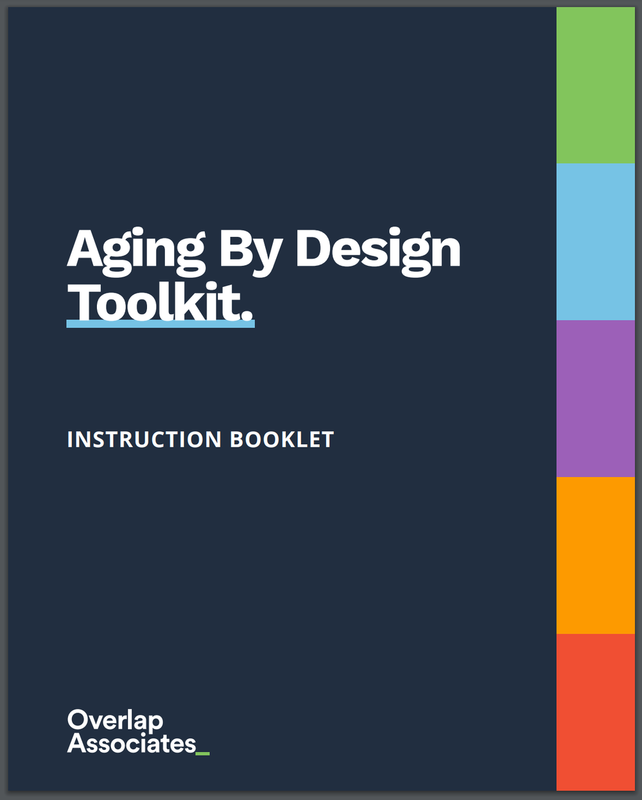 This is an online version of the Aging By Design toolkit. Please download and print additional copies of the Instruction Booklets, Need, Context and Scenario card decks, and more! Below, you will find the additional resources you will need to prepare before your first session. The toolkit comes with 8 role buttons, 8 persona mats, test and feedback grids, empathy maps, and a design process poster. The toolkit also contains smaller DIY kits - each assembled to build up comfort with the human-centered design process.